Apple has begun selling replacement tips for Apple Pencil following its unveiling of the 9.7-inch iPad Pro on Monday. The tips can be purchased in packs of four for $19 with free shipping. This might seem like a pretty insignificant addition to the Apple Online Store, but if you're an Apple Pencil owner, it's big news. The Pencil's synthetic tip is designed to be soft enough to use on shiny glass, and malleable enough to enable pressure-sensitive input. Unfortunately, these things come at the cost of durability, so after heavy use, Apple Pencil's tip can become worn. Until now, if the tip of your Pencil broke, you either had to stop using it or buy a new one for $99. 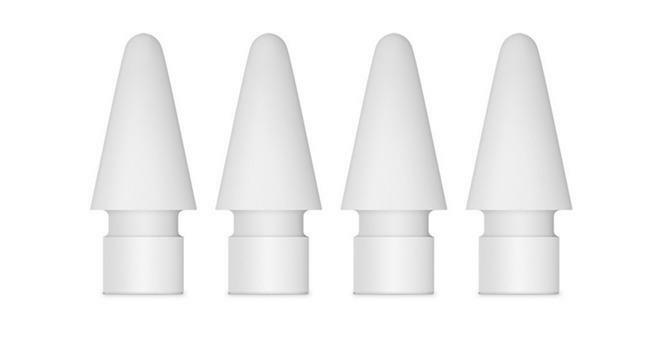 Now you can simply buy a set of replacement tips for $19. Yes, that's pretty pricey, but this is an Apple product we're talking about — and it's a darn sight cheaper than a new stylus. Apple's new iPad Pro, like its bigger brother, is compatible with Apple Pencil. It's also powered by the latest A9X processor, 4GB of RAM, and up to 256GB of storage. It's the first Apple device with a True Tone display, which adjusts color tone to match ambient temperature. Pencil tips can be purchased from the Apple Online Store now by following the source link below, and they're currently shipping in two business days.